This morning, Dodge revealed the long awaited beefed up successor to the Hellcat – the Challenger SRT Demon. The Demon is an absolute monster – it produces a crazy 626kW and 1044Nm, around 100kW more than the Hellcat. This INSANE power can propel the car to 100kph in just 2.3 SECONDS and do the quarter mile in 9.65 FREAKING SECONDS. Those times make it the fastest production car to 100kph AND the fastest quarter mile for a production car – faster than a BUGATTI VEYRON. This insane performance is achieved using a few new things. Firstly, the Demon has 315/40 Nitto street-legal, super sticky drag tires – although they’re not so practical for the real world, they provide maximum grip on the drag strip. Secondly, the Demon has an all new and revolutionary cooling system – it uses air conditioning coolant and a massive ‘Air Grabber’ bonnet intake to get temperatures inside the intake over 45 degrees Fahrenheit cooler. This is along with many other things like a TransBrake launch system, dual stage fuel pumps, 90kg weight savings, an 8 speed auto and the capability to run on 100-octane race fuel. To further reiterate how insane the Challenger SRT Demon is, when the US National Hot Rod Association validated the 9.65 second quarter mile time, they BANNED the car from competition because they felt it was just too darn fast. The thing even does 89cm wheelies off the line! 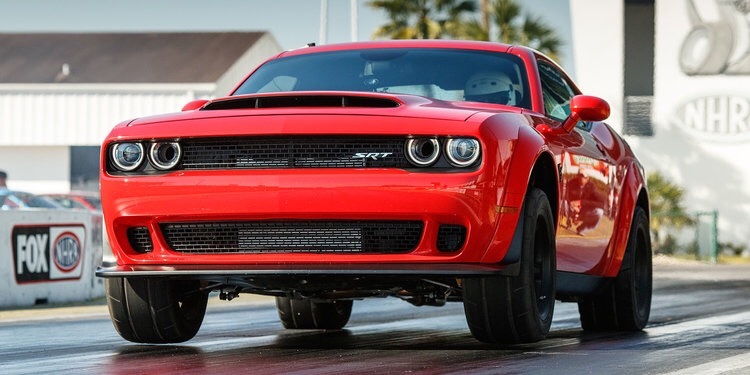 Dodge has not announced any official pricing for the Demon – we do know that it will be delivered to customers in Q3, along with a complementary Bondiramt High Performance driving course. 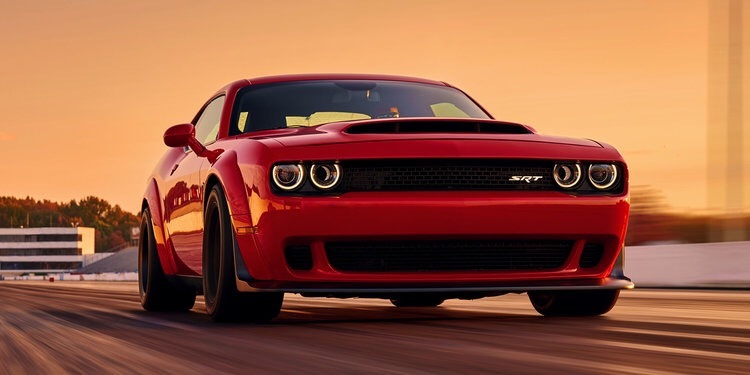 Production wise, only 3300 Challenger Demons will be made and only for the 2018 model year – 3000 for the US and 300 for Canada. What do you guys think of the Demon? I am IN LOVE. This car now goes on my top 10 list of the best cars of all time. Let me know what you think! Oh, and I couldn’t cover everything in this article so click to see a full rundown over at CarAdvice here. Previous PostPrevious Have Dodge just revealed the Challenger Demon’s quarter mile speed & time?